“Where change meets innovation” is how the ALA describes itself, and as the ALA goes so too should the Capital Chapter. 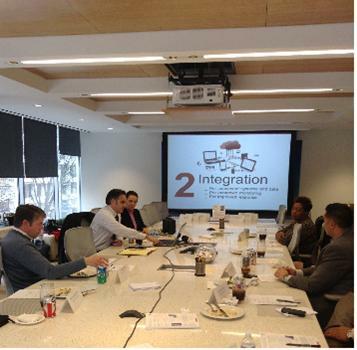 A recent lunch N learn actually addressed that subject— how to make change happen effectively. In the legal field, change never comes easily and it always comes at a cost. But to stand still is to go backwards. We all know that! So, how do we become the innovator or, if we already are, how do we do it better? In a recent "pop-up" survey on-line, Chapter members participating said that the two most important reasons they are members of the ALA are for the educational benefits and the social opportunities the Chapter offers. So it is time to move forward and not stand still. Your EC promised we would listen to you, so here goes. In the next few weeks we will be sending you a survey. I promise it won’t take a lot of your time and I also promise that some lucky participants, randomly chosen, will receive gifts for their efforts. We want to know what you want us to do for you; what opportunities do you want us to provide? We will do our best to give you what you want. Thank you for entrusting us with managing your Chapter. I promise the entire leadership team will do its best to support your needs. 50, 60…..70 hour work weeks are becoming the rule as opposed to the exception. The complex modern work place demands greater flexibility and new thinking. How do we best optimize time spent in the office? How do we stay ahead of the curve? Attracting and retaining talent is more important than ever. In an effort to do so firms are distinguishing themselves by optimizing their existing space and adding new, fun and collaborative spaces. We all have to do more with less, whether it’s shrinking budgets, added responsibilities or taking on new roles. One way to do more with less is to optimize your work space by evaluating the existing areas to determine if they are being utilized to their full potential. Paper is taking up less space with the implementation of cloud computing and data centers. This allows for spaces allocated to records and filing to be downsized. Most firms are taking this opportunity to rethink recently freed spaces. Often times these spaces help suit their current needs and provide room for additional offices, collaborative spaces, meeting rooms, etc. In today’s work hard play hard society we tend to take for granted our day-to-day interactions. Collaboration is a vital way to promote synergy and inspiration amongst work groups; but you may be asking ‘how do I bring these groups together when they are separated by walls, floors, buildings and even countries?’ One trend we are seeing focuses on implementing collaborative work spaces. These areas are not traditional meeting rooms or even huddle/breakout areas. New collaborative spaces are mostly being built in centralized, high foot traffic locations. The spaces are designed with the end users and their desired functions in mind. Smart boards for training sessions, video conferencing for meetings and flat screen TVs for gatherings are linking people together by giving them a place to be together. Previously underutilized areas are being transformed with relatively low infrastructure cost, IT support and proper furniture coordination. Communicating with designers and contractors early is the key to success. Planning your work, then working your plan is the best way to get the most out of your space. We are seeing fewer walls and traditional cubicles. This equates to fewer obstacles between people allowing for limitless communication and collaboration. The new normal is continuous glass walls lining corridors. This allows light to penetrate deep into core spaces. Natural light helps drive down energy costs and studies have shown that it increases productivity and general well-being. Operable partitions (folding walls) are still being utilized to demise space, but now we are seeing a movement towards glass operable walls. These new operable glass walls allow for greater transparency and openness. Full height cubicles have become all but extinct. Bulky cubes are being quickly replaced with shorter less encapsulated workstations. Building a fun, more collaborative workplace is not an abstract idea or concept. With a little bit of planning and creativity, spaces can be transformed virtually overnight. With proper budgeting, planning and execution, your firm can make changes to foster an environment that’s both fun and collaborative leading to higher productivity and increased employee retention. 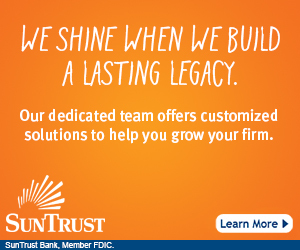 HITT welcomes the opportunity to partner with your firm to make the vision a reality. If you have any questions, comments or would like to discuss further, please do not hesitate to contact us. The ALA Board of Directors has changed the title of our Regional Officers to Regional Representatives. The change occurred after a review and restructuring of the roles of our Regional Leadership teams. 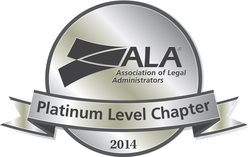 The work of our Regional Leadership teams will now focus on leadership development of ALA members and communicating regularly with chapters to provide counsel, support and assistance on all areas of chapter management. This new Regional Representative designation will better reflect these roles. Hilltop Spotlight: Why is Local Technical Support Better for Your Law Firm? There are many things to take into consideration when choosing your next provider for technical support. While many managed service providers and consulting firms have similar skill sets, methodologies, and service offerings, having local techs and project managers sets Hilltop Consultants apart from our competition. Our roots in the DMV run deep. While many managed service providers and consulting firms have cut back on their local support staff, or have chosen to locate their helpdesks and project managers far outside of the DMV, Hilltop made the decision to double down on DC. 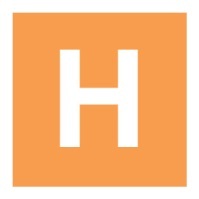 Hilltop Consultants was born in the DC legal community. Our techs are never more than a few Metro stops, or a short cab ride a way. Our close proximity to our clients gives the ability to provide the most responsive I.T. Support 24x7x365. Hilltop knows that not all problems can, or should be solved remotely. Sometimes you just need a tech to come to the office and look over your shoulder, and help you with a problem. Our ability to dispatch a local technician the same business day, has contributed to our high level of customer satisfaction. We put a high value on customer satisfaction and your success. 24x7 Local Support. Hilltop employs top network engineers that work on your IT issues until the problem is solved. None of your support calls are outsourced. You can count on Hilltop 24x7x365. Dedicated Network Engineer. Clients receive a dedicated network engineer that will continue working on any issues until the problem is solved. This alleviates any communication gaps that might occur when you are forced to work with multiple employees. With a local network engineer working on your issues through completion, we alleviate your stress of having to explain your issue over and over again. Phone Answered Within 60 Seconds. Time is money. We know your time is valuable and that is why we guarantee to answer your calls within 60 seconds-if not sooner. Hilltop takes pride in providing the most responsive IT services. Our experience and desire to exceed expectations is a priority. In a fast-moving and energetic presentation, Debbie Foster, managing partner of Affinity Consultants, covered more landscape on the subject of law firm management and working well in that environment than Sherman covered in Georgia. Her insights into driving profitability, clearly and concisely presented, were easy to understand and provided quite a number of "Ah Ha!" moments. Working well and profitably with others, getting buy-in on new processes, and effecting change were but a few of the areas she covered. If you are going to the ALA Conference in Toronto, be sure to catch her presentation there. In a 12 month period of very good lunch ‘N learns, her presentation was scored higher than any of the others we've had! For the second consecutive year, Legal E is very happy to be recognized as one of DC's best staffing providers according to the Readers’ Survey of Legal Times. It gives us great pride and inspiration to be honored for all of our hard work on behalf of the local legal community and we remain hopeful for the same success in the coming years for Legal E and for all staffing agencies specializing in the legal profession. With experience in the legal staffing industry spanning four decades and four recessions, this economic recovery is the most unusual and perplexing I have witnessed. Though there are many contradictory anecdotes of that time period, I can only go by my own experience. Legal E was negatively affected in 2009 by the economic downturn yet we bounced back quickly in early 2010 with contract placements and soon after came more direct hire opportunities. Reacting to our rapid growth and need for more staff and space, we opened our DC office in the Spring of 2010. As a trusted partner of our loyal client-base for many years, we understand that law firms must conserve staffing dollars by initially searching for candidates without the use of an agency. However, we also know that firms benefit greatly from the services provided by agencies in order to supplement their in-house efforts, expedite a difficult search, and even save money for their clients such as with hiring contract attorneys for document reviews. Client retention is about adding value. Law firms that take advantage of the contract-to-hire model, which often offers a “no fee” option after a set amount of hours, can show that adding value to the client relationship is a top priority. Agencies such as Legal E are happy to offer this service; however, at the end of the day, it may surprise many to know that it is not profitable for the agency. It has been my experience over the years that many misconceptions exist regarding staffing agency economics and how our industry makes a profit. Staffing agencies are not taking in immense profits from their contract hourly business. The reality is quite to the contrary. Agencies often operate on the same profit margins for decades while operational costs continually increase due to escalating regulatory costs, multi-jurisdiction taxes, typically the highest unemployment % rates in multiple jurisdictions, and unemployment benefit extensions. 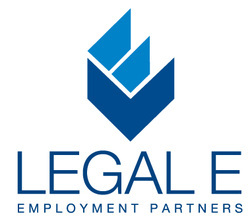 Legal E, for example, often experiences unemployment tax fees as high as 50% of what the contract employee has earned in gross wages while working through Legal E. When a contract employee’s assignment ends, it is considered a “layoff” by the multi-state unemployment offices; therefore, benefits are typically approved. Considering all contract positions are subject to end at some point, staffing agencies are usually responsible for funding part, or all, of the employee’s unemployment benefits for those that file unemployment claims. This leads to agencies frequently paying the highest available unemployment rates for each of the area’s jurisdictions. As a consequence, a growing percentage of temporary assignments become unprofitable to the agency’s bottom line. In addition, the staffing industry, largely made up of small businesses, is being faced with the complex task of navigating the new and ever-changing healthcare mandates (to include coverage of temporary employees who work for multiple agencies) which will likely prove to be a serious cost and administrative burden. In some cases, agencies, traditionally dedicated to legal, have branched out to attract a non-legal client base such as federal and local governments, corporations, associations, and non-profits. The effort to adapt to the changing economics of law firms has an added advantage as law firms look toward their corporate clients for inspiration with regard to office culture, organizational structure and hiring practices. For decades, the trend in law firms was to only consider traditional legal/law-firm experienced candidates for staff and management opportunities. More recently, a rising trend is to not only consider, but actively pursue non-legal staff and management candidates who can provide innovative ideas and processes born out of a corporate paradigm. Many law firms find that in-depth legal experience is not always indicative of success for their evolving needs and typically non-legal candidates are the more economical choice. For several years, Legal E has been serving the non-legal business community and recognizes the merging of industries including staff and management candidates. To acquire a full appreciation of a multitude of industries, Legal E has made a concerted effort to sponsor corporate-based associations, including the educational goals of their members, in order to gain knowledge of best practices and universally expand the expertise of our recruiters. Understanding how other industries approach staffing and restructuring has been an enlightening learning experience for all of us. As a supporter of ALA’s Capital Chapter since the 1980's, I have personally witnessed many changes that have been organic and extremely beneficial. As recipients of Legal Times Best of Legal and Litigation Staffing for the past few years, we are equally honored to support the educational initiatives of ALA Capital Chapter. Growth and educational advancement are the best examples of a reciprocal, results-oriented business community and we at Legal E are always grateful for the opportunity to contribute to these efforts. Jeanette Derby, President of Legal E – Employment Partners, has specialized in legal staffing for well over 30 years. Throughout her career, Jeanette has been responsible for five successful start-up ventures in DC’s legal staffing industry. As an active supporter of ALA’s Capital Chapter since the mid-1980s, Jeanette is a sought after thought-leader and presenter on a myriad of human resources topics and legal staffing trends. In addition to receiving 2012 and 2013 DC’s Best of Legal Times awards for Litigation/Legal Staffing, Legal E is 100% woman-owned and WBENC certified. Jeanette attributes Legal E’s continued success to her amazing management team and staff in the company’s Washington, DC and Northern VA offices. Leadership. It’s an essential part of any practice. If a law firm is to grow, prosper and keep up with shifting economic and social realities, solid leadership has to be in place. But unlike other essential lawyers’ skills, this one is not taught in law school. Lawyers learn to lead on the job. But can one learn to lead? Aren’t great leaders born, not made? Not necessarily. True, some people are “born” leaders, just as some people are “born” trial lawyers or “born” basketball players. But the vast majority of successful leaders aren’t “born.” They have acquired a set of skills available to anyone who cares to learn them; skills you can learn; skills that can be used to your personal advantage and that of your firm. You too can be a leader. Leadership is difficult to define simply because there are a great many leadership styles. We may think of the “great statesman” model – the Abraham Lincolns or Margaret Thatchers. Or the “entrepreneurial” model – the Lee Iacoccas or Sam Waltons. There are the “charismatic” leaders – the Martin Luther King, Jrs., or the Ghandis. And the “creative” leaders like Albert Einstein or Pablo Picasso. Very different people, very different styles. But there is one important commonality, which is the basis of all leadership. These diverse people are or were – each in his or her own way – inspirational and visionary. They had an idea for the future in which they believed and in which they convinced others to believe as well. That ability to dream and to inspire others to dream and work to make the dream come true is the basis of leadership. And it’s not something that requires a lucky dip in the gene pool. You can develop a vision for your law firm and inspire others to help you make it a reality. Understand the fundamental task of leadership. Dwight Eisenhower defined leadership as “the art of getting someone else to do something you want done because he wants to do it.” Your job as a leader is to show people how they can get what they want at the same time you get what you want. Another word for this art is inspiration. Visualize yourself as a leader. Remember being a leader doesn’t require a senior partnership, a charismatic personality, or a reputation for brilliance. Just picture yourself as having an idea for your firm’s future and then successfully implementing that idea. Think of other occasions when you have taken charge – even of only yourself – and accomplished your goals. You’ve succeeded at other things, why not at leadership? Develop a specific dream. Where do you want to be in five years? In 10? Where do you want your law firm to be? What kind of clients do you wish to be servicing? What kind of image in the community do you wish to project? What kind of corporate culture do you wish to foster? How do you propose to achieve these goals? Write down your answers. Hone your skills. Give yourself a chance to develop your leadership skills on small projects. Become actively involved in some volunteer organization. Run the annual benefit, lead the retreat, chair the committee. Take courses in leadership and communications skills. This kind of in-the-trenches experience is invaluable for building your confidence and your image as a leader. Be a listener. Find out about other people’s dreams. You’re not the only one with ideas for the future. Help the others in your firm to clarify their vision. Give them the sense that you share their dreams. Let them know that their dreams are worthwhile. Let them feel that you are working on their behalf. Be an enabler. You lead by helping others to be their best. Encourage others to perform well and instill self-confidence in them. Honest compliments on jobs well done and expressed belief in others’ ability is essential. People tend to live up to the expectations others have for them. If you expect excellence, chances are you’ll get it. Making others feel good about themselves makes them feel good about you too – and makes them more willing to work with you. Be a consensus builder. No two visions for your firm’s future will be exactly alike. Find the commonalities among visions. Sell your ideas on that basis. Turn the project into a win-win scenario. Show others how they get what they want when you get what you want. Instill a sense of hope. People have to believe that the future is possible, that the goal is achievable, that tomorrow will be better than today (especially when today isn’t particularly good). Hope grows with the knowledge that one’s aspirations have been heard and that someone else is working to help achieve these dreams. Once you have arrived at a common set of goals, break the vision down into small, manageable tasks. (If your job is to clear the forest, the first step is to identify one tree that needs to be trimmed.) Breaking the task down this way makes it seem more manageable and builds confidence – yours and your followers. It allows all of you to build on small successes. Then keep working. Expect that implementing your vision will take some time. Setbacks are inevitable. But keep at it. Allow for mistakes – both your own and those of others. Nobody’s perfect. Good leaders let their followers know that mistakes are learning experiences, not capital offenses. Patience and forgiveness are both characteristics of an admirable leadership style. Finally, the best advice for the would-be leaders is to reject procrastination. Avoid any excuse to delay. Don’t wait for another new year. Don’t wait for your trial to end. Don’t wait to be asked. Dream your dreams, create your plan, work on your skills, and then begin to make things happen. Lawrence M. Kohn is president of Kohn Communications, one of the oldest and largest firms specializing in coaching lawyers in rainmaking, leadership, mentoring and productivity - See more here. ALA Members are busy getting the word out about Our Community, Our Kids! 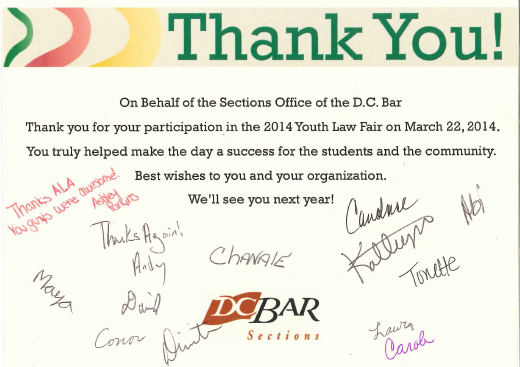 The 15th Annual 2014 Youth Law Fair: Stand Tall Against Alcohol and K2 was our first opportunity to spread the word about OCOK and the Toni K. Allen Scholarship Fund directly to DC high school students. It was a great success! On Saturday March 22nd Beth Fowler (President of the ALA Capital Chapter Foundation), Jenna Carter (VP of Community Services, Elect), and I attended the 2014 Youth Law Fair at the DC Superior Court. The law fair aims to educate DC high school and middle school students on the legal process as well as raise awareness around alcohol and violence. The kids were able to take place in mock trial programs, attend sessions hosted by judges of the Superior Court, and learn about careers in the legal field. During the exhibit sessions Beth, Jenna, and I were able to directly talk to students, parents, teachers, and guidance counselors about the scholarship opportunities through OCOK and the Toni K. Allen Scholarship Fund. Not only were we able to discuss the students’ college and career goals with them, but we also received confirmation from teachers and guidance counselors that they will post our scholarship information in their schools and discuss the application process with their students. We are hoping that this is the first of many other outreach opportunities with OCOK and that each one will be just as successful! Not only are we planning to attend additional youth fairs in the future, but we are also planning on organizing college application workshops at local high schools, to include interview prep and resume writing courses. If you are interested in volunteering for the next youth fair or workshop, please contact Jenna Carter at jenna.carter@huschblackwell.com. OCOK helps college bound DC Public School students reach their career goals through mentorship and college scholarship opportunities. It also aims to educate students about opportunities in the legal field and promote and fund the Toni K. Allen Scholarship Fund. In March the Office Operations Management section hosted Kastle Systems, a leading security services provider, to speak about the best practices in security for multi-office firms. Technology shifts and advances in recent years have changed how law firms approach acquiring and managing their security systems. Leading firms today are preparing to standardize security for consistency among all firm offices. Just like an accounting system for a firm, it doesn’t make economic or management sense to have an array of different systems from multiple varying parties. Bringing it all together holistically creates not only an easier job in managing a consistent security practice but also offers efficiencies and savings, which are goals for any firm today. Cloud-based security is just one trend motivating this new approach. By leveraging economies of scale of an expert outsourced firm like Kastle, new conveniences become possible. A central portal can be used to see, report on or control security protocols for any office from a single location streamlining the job, and the staff required, for administration. Administrators also gain contemporary capabilities such as doing their work from anywhere too – whether it’s unlocking a door for a partner from an ipad at home, or enrolling a visitor over their smart phone. One of the outcomes of standardization is a benefit that everyone seeks today. By bringing it together, people can use one single credential to access any space as opposed to carrying around dozens of cards or keys. Kastle serves nearly 80% of the top 200 law firms today – providing access control, video surveillance and monitoring as a service. The discussion at our recent ALA meeting provided insights into how companies can do more, more efficiently and more conveniently, than ever before. The changing landscape of technology makes it all possible. Kastle’s National Law Firm Director, Pat Howe, can be contacted at phowe@kastle.com or 703-247-0231. You can also visit WWW.KASTLE.COM for more information. The Human Resources Section operates as a venue for educational information on global human resources topics and issues. While the Section comprises mostly HR professionals, any member is invited to participate. The Section meets the second Wednesday of every month and often has either industry speakers or roundtable discussions on topics such as recruiting, benefits, strategic planning, performance management, career pathing, retention and more! The members of the Office Operations Management Section represent a cross section of legal expertise from functional administrators to branch office managers. The Office Operations Management Section (OOMS) meets on the third Wednesday of every month to discuss operation0related hot topics. We welcome all members to join the section, especially if you are an administrator in a small law office and you have to wear multiple hats. 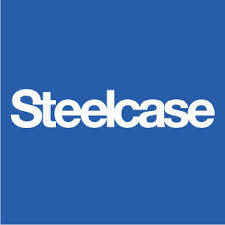 We can provide you with many best practices to run your operation smoothly. The purpose of the Small Firm Management Section is to provide Administrators of law firms with 35 or fewer attorneys educational opportunities through vendor presentations, idea sharing and open forums specifically designed for those who work in smaller firms. The Small Firm Management SEction meets the 4th Tuesday of the month at host law firms.